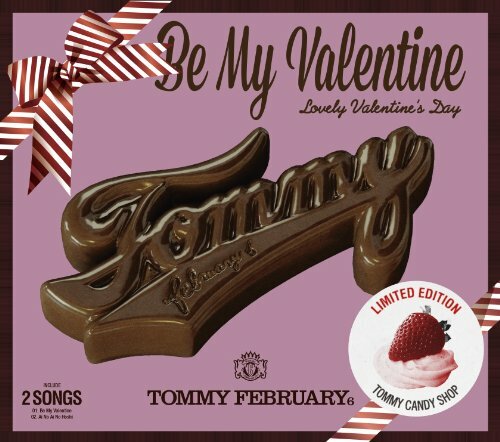 Tommy february6 will sing cover of the brilliant green. Finally an individual single XD Hope it means we'll get individual albums next year. Ai no Ai no Hoshi is one of my favorite BuriGuri songs, can't wait to hear how it's gonna sound! I hope someday heavenly covers something by february! Tommy said that she is going to make TBG comeback next year to celebrate their 15th anniversary. And this cover is the beginning of celebrating. I'm so excited! 2013 sounds like an awesome year for Tommy already. 2) Ai no ai no hoshi is one my favourite TBG songs. Great Xmas pressie and start to 2013! I love the cover! It's like she is giving us fans a gift on her birthday! Wow!!! Great news, not only a new TF6 sinble, but new music from The Brilliant Green!!!!!!!!!!!!!!!!!! Chocolate! Nom nom nom nom! Be My Valentine will become an ending song for Hanamaru Market. I don't know what is Hanamaru Market. I wonder what song she'll cover! Great news! Not sure if this will be the first CD I won't buy. Thats what I said after the last one cost me a fortune in customs charges, and then the video was a let down. May just download it from Itunes Japan or something. Hope she doesn't wreck Ai no Ai no Hoshi, but then I guess it's their song and they can do what they like with it. Not bad. The rhythm section is a bit Motown. Oh my gosh I adore it! So cute and sunshiney! ^^ Love it. Can't wait for the full song and PV!